Create a user account called sigmacomputing. The user sigmacomputing is configured to authenticate via public key. 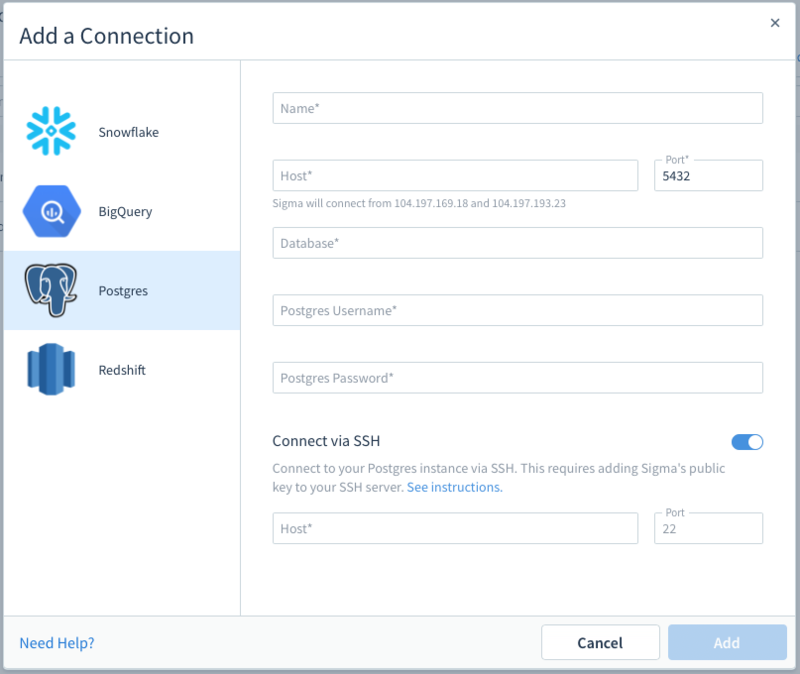 Authorize Sigma's public key according to the instructions of your SSH server. For most servers the SSH default port is 22, which is also the default port on Sigma. Check to ensure that the port on your SSH server matches the port on Sigma.